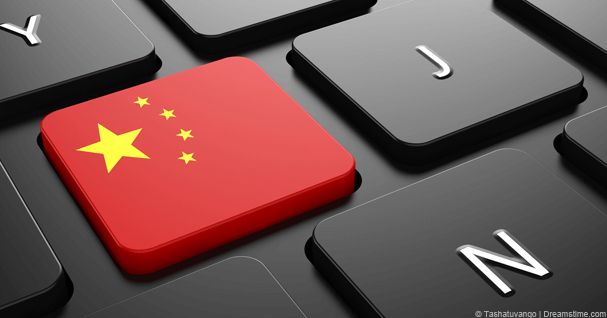 China has one of the most restrictive internet regimes in the world and this week one of its creators was forced to use a VPN to bypass his very own firewall system. Often referred to as the Great Firewall of China or GFW the digital wall takes its name from the 5500-mile physical structure that straddles the Chinese border. Sites that most of the world take for granted such as Facebook, Instagram, Twitter and other large social media, news and many other sites are completely blocked to those in mainland China. Fang Binxing the so called father of the Great Wall of China was giving a lecture at the Harbin Institute of Technology on internet security. As part of his lecture he aimed to show that other countries such as South Korea also make use of firewall blocking technology. Although South Korea is known to block a handful of sites that relate to North Korea it is nothing on the scale of the Chinese firewall. When Mr. Fang attempted to visit a South Korean website he was blocked by the very firewall that he helped build. Rather than do the decent thing and admit defeat by his own creation he proceeded to load a VPN service, connect and bypass the block in front of those in attendance. As would be expected the story has received little to no public airing in mainland China but other news outlets such as Ming Pao in Hong Kong have reported the news. Opponents of the firewall are clearly overjoyed with the irony of the situation with one user commenting that Mr. Fang is so dedicated to his work that he didn’t even build a backdoor for himself to bypass the firewall. 29% of Chinese internet users now make use of VPN services to bypass the firewall and although it is often a cat and mouse game between VPN providers and authorities in China it appears that the VPN companies are winning the war often finding unique ways to bypass restrictions. If Mr. Fang’s recent escapades are anything to go by then he also advocates their use. While it isn’t clear what VPN service Mr Fang made use of there are a handful of VPN services reported to be still working in mainland China. Both VyprVPN and VPN.ac are two providers that offer dedicated modes for Chinese users. VyprVPN offers their Chameleon protocol which is based on OpenVPN with obfuscated headers that aim to bypass deep packet inspection and disguise the VPN connection thwarting most great firewall attempts at blocking. VPN.ac also have special server lists for users in China that allow you to circumvent the firewall and access an unrestricted internet on the mainland.